Pauline Phillips, the woman known to the world as "Dear Abby," died Wednesday at age 94, a rep for Phillips' daughter Jeanne confirmed to ABC News. Phillips struggled with Alzheimer's disease for years. By the mid-1990s, she was already co-writing her column with her daughter Jeanne and as the illness progressed, she passed on the torch completely. The original Dear Abby officially retired in 2002. TMZ quoted Jeanne Thursday, saying: "I have lost my mother, my mentor and my best friend. My mother leaves very big high heels to fill with a legacy of compassion, commitment and positive social change. I will honor her memory every day by continuing this legacy." Before she became known to the world as "Dear Abby," Phillips was a 37-year-old stay-at-home mom with a modest attitude. "I don't pretend to be an authority on journalism or on human relations," Phillips once said as her career began. "I just happen to be a very happy, a very healthy, a very lucky young woman with a fascinating hobby." She found fame in 1956 after reading the advice column that ran in the San Francisco Chronicle, and brazenly letting the editors know she could do better. "They gave her a bunch of letters, thinking that, that they would never see her again - and she immediately took all of the letters to my dad's nearby office and whipped out answers and had answers back the same day. That knocked them off their feet," her son Eddie Phillips told "Good Morning America" in 2004. Using the pseudonym "Abigail Van Buren," Phillips went from housewife to America's counselor in a career that spanned more than four decades. She counted celebrities, presidents, royalty and even a pope among her millions of fans. Her column was syndicated in more than 1,200 newspapers, and read by 95 million people a day. 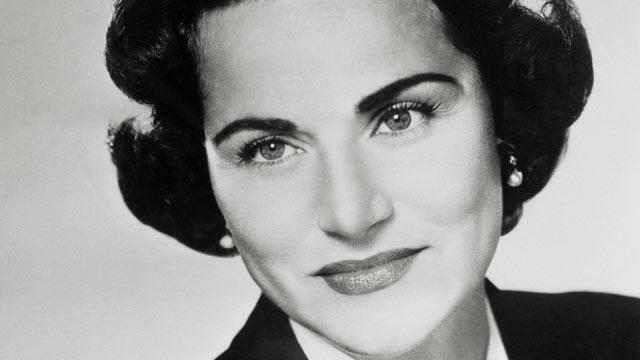 Her twin sister Eppie Lederer became advice columnist Ann Landers. She died in 2002 at age 83.